The global music sensation will perform in Pune on October 17, New Delhi (NCR) on October 19 and Bangalore on October 21. 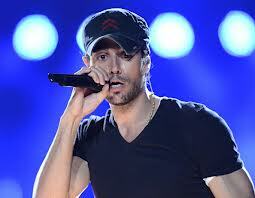 Grammy Award-winning global pop phenomenon Enrique Iglesias will perform live in India this October. The chart-topping singer comes to India on a three-city tour, with a concert in Pune at Amanora Park Town, who are also partners on the event, on October 17, HUDA Grounds in Gurgaon on October 19 and Bangalore on October 21. The tour is produced by Only Much Louder, which also organizes acclaimed music festivals like Bacardi NH7 Weekender and Eristoff Invasion. With chart-topping hits like Hero, Bailamos, Escape, Rhythm Divine, Love To See You Cry, I Like It and Tonight (I'm Loving You), Enrique's fans in India are promised one special concert. The pop sensation has sold over 100 million records worldwide, has eleven multi-platinum albums and has an immense, 68 number-one rankings on the different Billboard charts to his credit. Over the years, Enrique has amassed thousands of fans in India, who have been waiting for the better part of the last decade to hear him live again. After a massive two-city tour in Bangalore and Mumbai in 2004, this time, the pop sensation hits Pune and New Delhi (NCR) for the first time, and will also revisit Bangalore. 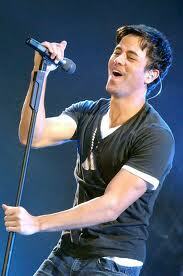 Enrique has long been focused on his fans in India, and collaborated with celebrated Bollywood vocalist Sunidhi Chauhan on a special remix and video for the track Heartbeat, which features on the Indian edition of his last album 'Euphoria'. 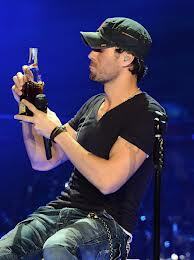 The album, released in July 2010, is Enrique's ninth studio album, and features collaborations with some of the biggest names in music today, including Akon, Usher, Ludacris, Pitbull and Nicole Scherzinger. His songs have also featured on a number of films and TV shows including Bailamos on Wild Wild West, which launched him into global music stratosphere, and other shows like Scrubs, most recently, the hit music series Glee.